On this page you can find descriptions of my books and some things people have said about them. Gender: An Inclusive Church Resource was published in March 2015 by Darton, Longman and Todd. The other three books can be purchased from SPCK Publishing. All four can also be found on Amazon, in some cases with reader reviews. 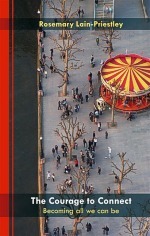 This book has been produced by Inclusive Church in partnership with DLT. It is edited by Bob Callaghan and includes profoundly thought-provoking contributions by Natalie Collins, Hilary Cotton, Rachel Mann and David Monteith, as well as an excellent resource section by Ronni Lamont. It is an attempt to outline a theology of gender, to reflect on how gender and theology intertwine in the lives of individuals, and to provide discussion material to explore the issues raised in the book. Does My Soul is a book about how we face some of life’s big issues: Do things really have to change? Am I happy enough? Does my life have a point? Will I ever be ‘in’ with the ‘in crowd’? Where on earth is home? ; and how we use them to explore the deepest possibilities of our lives. 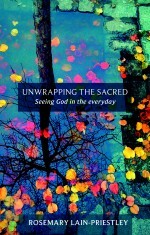 Unwrapping the Sacred reflects on the events of a year from one Spring to the next. Exploring the meaning of stories and events it encourages the reader to pay attention to the detail of life, to sadness and to joy. Among other themes it looks at equinox moments and hinterlands, friendship and identity, fragility, control and how to ‘make holy ground’. A book for those who long to see God’s hand in the sweep of history and the detail of each day. This book is about the attempt to become more deeply human and more fully alive; to live deliberately and intentionally. It asks how we might connect with ourselves, God and others through essential human issues and experiences such as risk, envy, fertility, perfectionism and doubt. Aimed at a broad readership the book is accessible both to those who are familiar with Christian belief and those who are not. So happy to have discovered this blog !! 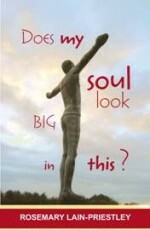 I am reading “Does My Soul Look Big In This” and feeling blessed by it !! Thank you so much for that, Linda. It really helps to get feedback and to know that it’s worth trying to put things into words! … and as always you’re very kind. Love it — will look forward to checking in regularly! Hoping to blog once a week, depending on what else is going on. You can sign up for notifications on the home page (I think!) but then I might be intruding in your Inbox more often than you like! My soul is kissing the ground right now. Thank you for making me stop and kiss. Thanks Olivia – and for being the very first to comment on my very first blog post!